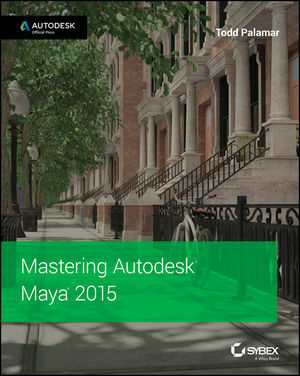 Mastering Autodesk Maya is the ultimate guide to the popular 3D animation software. Author Todd Palamar draws on his extensive professional animation experience to help readers take their Maya skills to the next level. Written for those who already know the basics of this enormous program, the book covers advanced topics and professional techniques for modeling, animation, texturing, and visual effects. The most complex skills are useless if they can't be applied, so the book emphasizes the practical, day-to-day uses of each skill, and discusses which solutions best fit which scenario. For the computer animation professional seeking a more in-depth mastery of this popular animation program, Mastering Autodesk Maya is an excellent investment in the future of your career. Todd Palamar began his career creating traditional special effects for low-budget horror movies and quickly gravitated to computer animation. After working on numerous straight-to-video movies, he entered the video game industry. Todd has extensive freelance experience, including dozens of military and game-style simulations, corporate commercials, and theme park rides. In addition, he has written several Maya books, including Maya Studio Projects: Photorealistic Characters and several editions of Mastering Autodesk Maya.